Seeking Computer Systems, Electrical, Mechanical and Industrial Engineering and Computer Science, Physics and Mathematics, and Accounting sophomores, juniors, seniors, and MS Grad students in for fulltime, intern and co-op positions. Hiring for Boston,MA, Coopersburg,PA and Boynton Beach,FL. 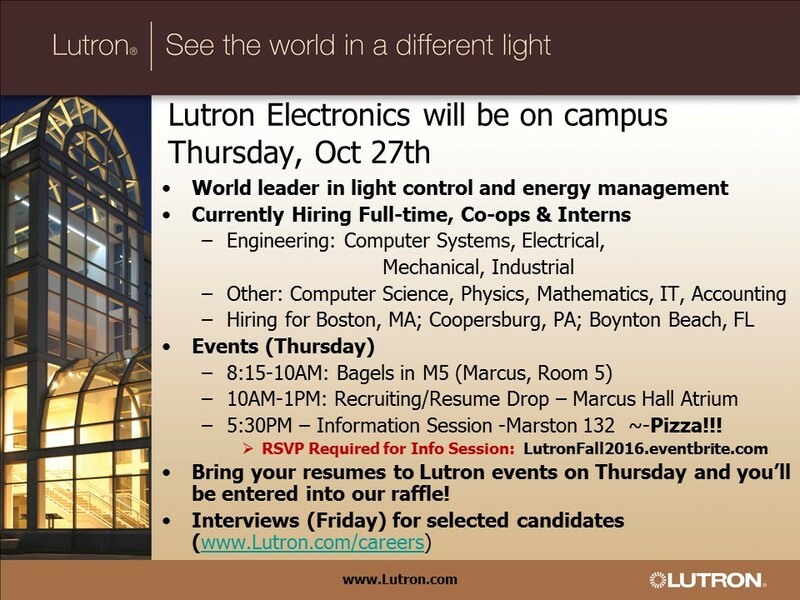 Take a look at the types of position the have at Lutron.com/careers.